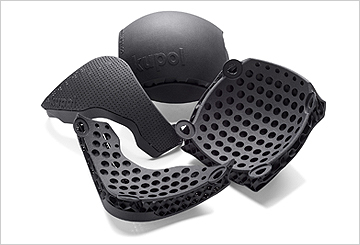 Syncro Design, an industrial design firm focused on additive manufacturing recently decided to launch a brand-new project, called Kupol. This new brand is specialized in 3D-printed helmets for bike users. In the last year, Synchro’s CEO, Gabriel Boutin began exploring ways that 3D printing might be used to reinvent how helmets are made. His efforts resulted in a significant breakthrough, which became the Kupol Project. Download the case study to learn how HP Multi Jet Fusion technology helps print helmet parts that are lighter, more functional, and piece together for a true custom fit.